Laserchrome Sponsored an "Art Excellence Award" for "Brush With Success" at Art Gallery Viera last Saturday. Artist Photographer John Buck was the recipient of our "Art Excellence Award". John is the President of the Camera Club Brevard and a former Kodak Photographer in Rochester, NY. Please enjoy John Buck's Peruvian Paint Pots Photo on our Laserchrome Promo. 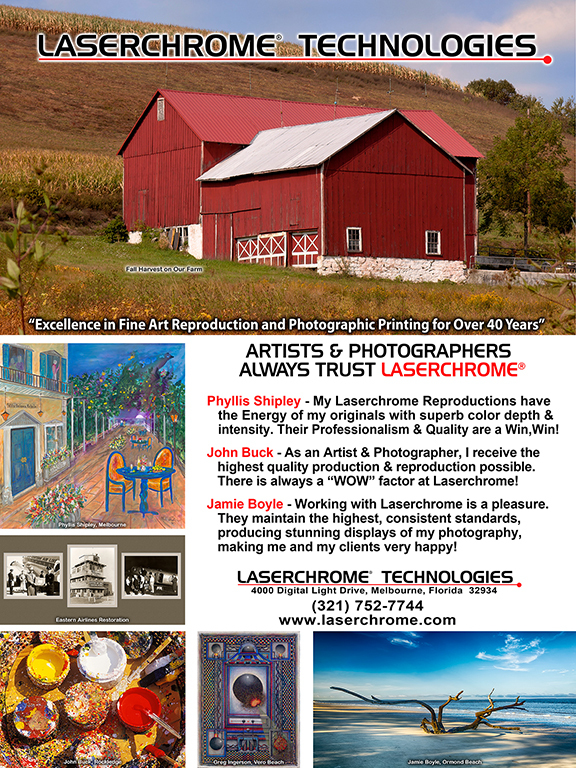 Artist Phyllis Shipley's "Visions Of Italy" painting is integrated into our Laserchrome Promo. Phyllis has a Solo Exhibtion at the Fifth Avenue Gallery thru November 3.